Upstairs, diners are ushered into a private ‘tent’ of sorts with a low table and plenty of cushions to throw around; Arabic ballads mixed with the jovial hubbub of conversation, and the slow-turning Ottoman-styled lamp above, add to the cosy mystique. At $25, the three-course set menu is a worthwhile choice. 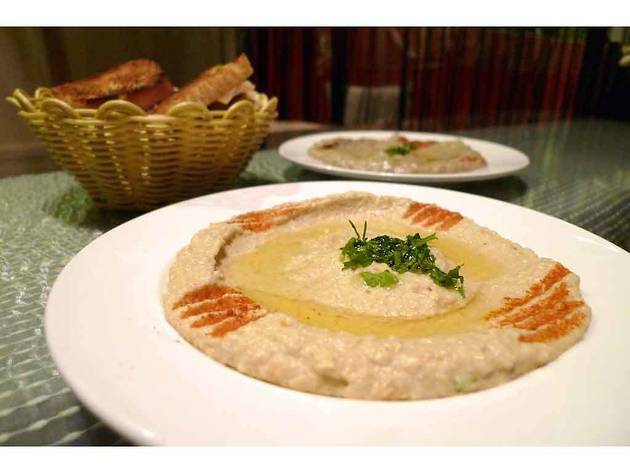 Fervidly dip away at the home-made hummus and baba ganoush with warm slices of pita and garlic loaf; wash it down with the harkhadae (hibiscus juice) – a unique thirst quencher.